NEW YORK – The definition of luxury travel has evolved more in the last 10 to 15 years than it had in the entire century before, according to panelists speaking at the 2018 New York Times Travel Show Jan. 26. While luxury travel was once associated with high-end amenities such as plush guest rooms and 5-course meals, the rise in experiential has redefined the industry. During the “Focus on Luxury” panel, executives from different facets of the high-end travel and hospitality sector, ranging from tour operator and travel agent to hotel network and cruise line, discussed how consumer interest in one-off, personalized experiences have led industry change. "I would argue that the idea of luxury travel has changed more in the last 10 to 15 years than the previous hundred," said Ignacio Maza, executive vice president of Signature Travel Network. "I think before, we had a very defined, absolute idea of what luxury was. It was a Rolls-Royce, it was Cartier, it was certain, very specific things," he said. "But today, I think luxury is personal, it is individual. Everybody has a different idea of what luxury is. "As travel sellers, the most important thing we have to do is, we have to get to know our customer to understand where are their passions and what are their interests and what is it that will really create a sense of wonder. To me, the challenge is how you create luxury, when every customer has a different idea of what it is." Alongside the changing definition of luxury travel, who the affluent traveler is has evolved. In the past, affluent travelers were thought of as being older, retired individuals, but today the prospective client is much more diverse. Rick Baron, managing director of worldwide accounts at Tauck, explained that his tour company has clients from diverse walks of life, but they have two things in common: they are highly educated and have a real thirst for experiential travel. Also, travelers today are more sophisticated and well informed. But, despite changing clientele, at the core of luxury travel’s evolution is personalization. In the past, personalization meant hotel staff knowing a guest’s name, but today luxury travel must go way beyond common courtesy. Affluent travelers now seek an opportunity to be themselves while immersed in a unique experience. These experiences must begin at the travel agent level, said Gail Grimmett, president of Travel Leaders Luxury Brands. To curate these experiences, an agent must truly know and understand the client. As an example, Ms. Grimmett mentioned how actress Elizabeth Taylor, who was a client, loved to stay at Dorchester properties while traveling. At one point, the Dorchester repainted its guest rooms a shade of pink, but knowing Ms. Taylor preferred rooms painted blue, her travel agent called the property she wished to stay, and requested the suite be repainted ahead of the actress’ arrival. In another example, of travel agents being the beginning of the luxury journey, Ms. Grimmett shared an anecdote about a client who calls her agent to place an order from room service, instead of dialing from her suite herself. While these instances may seem extreme, the concept of personalization begins with a deep understanding of the guest. Hotels, for one, are becoming more flexible in anticipating the needs of guests. Signature Travel Network’s Mr. Maza cited The Peninsula Hotel, Beverly Hills as an example of a property willing to bend the traditional rules to better accommodate its guests. The hotel has done away with check-in and check-out times, because the concept often complicates a guest’s stay. The idea of access has also been heightened. The Park Hyatt in New York, for example, has a partnership with neighboring Carnegie Hall. 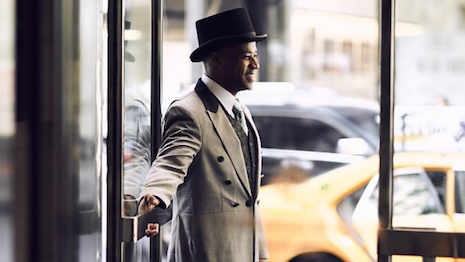 If a guest would like last-minute tickets to a concert, Park Hyatt’s concierge has an in with the ticket window, making these requests a possibility. As personalization and access expectations grow, agents must be well-educated in the various offerings of hotels and what each client is looking for. For some, a wellness stay, for instance, may be defined by a day of pampering at the spa, but for others, this could mean waking up at 5 a.m. for yoga, followed by a 10-mile hike (see story). This also applies for the destinations selected for a trip. Destinations such as the Swiss Alps or Monaco remain as cornerstones of luxury travel, but now seek out locations not frequented by the masses. These destinations must be authentic and with special character to offer guests once-in-a-lifetime experience through curated expeditions. Above all, it is the responsibility of travel vendors and service providers to create memorable, meaningful experiences, whether the trip is a long weekend in Chicago or a three-week African safari. The cruising sector has seen exceptional growth recently, as affluent travelers look for more off-the-beaten path experiences while they travel. 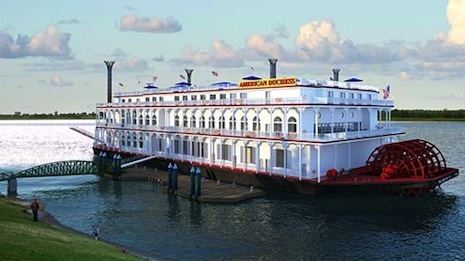 Per Ted Skyes, president and chief operating officer of American Queen Steamboat Company, the small-capacity vessels have become destinations as cruise ships have all the “fit and finish” of luxury (see story). Yachting cruises offer guests the opportunity to visit destinations that are untouched by the larger mass-market vessels, and excel at authentic expeditions that demonstrate the character of a location. Also, cruising’s idea of strict schedules and an assigned table has more or less been done away with, playing into the idea that every guest is looking for a different type of experience. As such, expeditions are firmly rooted in personalization. For example, Ponant does not just offer a standard wine tastings for passengers. Instead, seeking to elevate the experience, Ponant partnered with Christie’s to educate passengers on fine wine investing while traveling from Vancouver to San Diego, passing by California’s wine-producing Napa Valley. "One of the takeaways is, we talked abut personalization, but an important element of that is choice and giving people a lot of choices and understanding what they want," Ponant’s Mr. Sawhney said. "When it comes to excursions, if you take the trend of fitness, and the trend of people wanting a deeper understanding of where they are, and combine those two, it’s not a surprise that [cruises] offer kayaking and snowshoeing in far-flung destinations like Antarctica and the Arctic," he said. "But even if you take classic destinations, there are different ways in which you try to make people become part of the environment."